Posted May 1, 2016 by John Fithian & filed under News, Reel Blog. This article originally appeared in Boxoffice magazine. The global motion picture industry came together in Las Vegas on 11-14 April for CinemaCon 2016. With admitted bias up front, we believe this was the most successful motion picture industry convention ever. CinemaCon 2016 featured record registration numbers, a sold-out trade floor, more studio presentations than ever before, important educational programming, and, of course, plenty of high-level private meetings and fun! CinemaCon 2016 also established some very important themes that merit highlighting here in NATO’s official magazine. Five of those themes follow. With a record domestic box office in 2015 of $11.1 billion (up 7.5%), and another global record of $38.3 billion, some prognosticators had predicted a down year in 2016. Yet the industry’s growth continues. Box office in the U.S. and Canada was up a strong 12.7% in the first quarter of 2016, with a trio of summer-type blockbusters early in the year – Deadpool, Zootopia and Batman v. Superman. Now the second quarter is off to a great start with the massive opening of The Jungle Book. 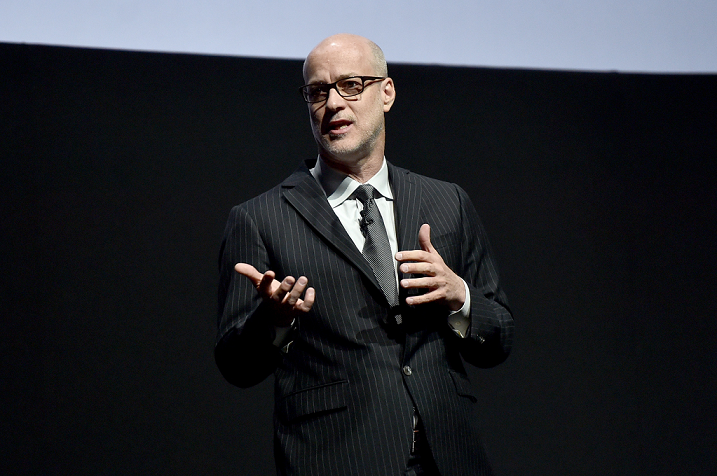 At CinemaCon, the major studios demonstrated that this strength will continue throughout 2016 and into 2017 and beyond. Delegates thrilled to product presentations by the major studios including Paramount, Warner Bros., Sony, Disney, Universal, Fox and Lionsgate (in their order of appearance at the show.) During the week, distributor and exhibitor stock prices rose, as Wall Street analysts strengthened their forecasts for future box office. And of course the delegates had fun with more stars during the week than ever before at CinemaCon! Most major studios have focused more and more on tent pole blockbusters. Exhibitors around the world benefitted from five billion-dollar blockbusters in 2015, more than ever before. At the same time, though, the industry needs mid-budget and sophisticated adult fare to appeal to a broad range of audiences. CinemaCon 2016 brought two new suppliers of movies to the stage – STX Entertainment and Amazon Studios. STX’s self-described mid-size movie strategy will bring more than a dozen original new movies to the big screen each year. Similarly, Amazon made big news with its appearance at CinemaCon. Some NATO members questioned us about the appearance of an internet company at the convention. But as their presentation progressed, Amazon made it clear they won’t be another Netflix, and that they are committed to a theatrical release window with very interesting movies. At NATO we continue to believe that exclusive theatrical release windows drive success in theatrical markets and in ancillary movie markets as well. Exclusive theatrical windows make new movies into events. Success there establishes brand value and bolsters revenue in downstream markets. To be sure, more sophisticated window modeling may be needed for the growing success of a modern movie industry. But those models will be developed by distributors and exhibitors in company-to-company discussions, not by third parties. At CinemaCon the Motion Picture Association of America released its annual “Theatrical Market Statistics”. One key finding involves teenagers, who remain the strongest segment of movie-goers. In 2015 per capita ticket sales for Americans aged 12 to 17 was 7.3, with the highest growth rate of any age demographic. That demographic represents only 8% of the U.S. population, but a stellar 16% share of movie tickets purchased. Teenagers constitute not only our most frequent guests, but they are also the highest spenders. Teenagers have the highest rate of support for 3D and premium large format screens too. A strong youth audience for cinema signals future industry growth as we develop another generation of movie-goers. Another bright sign for the future is that diverse audiences around the globe are making their voices heard. Historically, three of the biggest cinema markets were the United States, Europe, and Australia. And in the old days those territories weren’t nearly as diverse as they are today. Now, the overseas theatrical markets with the fastest growth rates are found in Asia and Latin America. And here in the U.S., Hispanics have the highest rate of cinema visits and Hispanics are the fastest growing part of American demographics. No doubt the construction of state-of-the-art cinemas in all cultures and neighborhoods has enabled this growth. And there is another factor as well. The more that movie casting looks like the world, the more the world goes to the movies. Consider the results for Furious 7. In the U.S., a majority Caucasian country, white folks accounted for only 40% of the tickets sold for the movie. And globally the diverse cast of that franchise has helped to drive record sales. At CinemaCon this year we championed the diversity of our industry, not just because it’s the right thing to do, but because diversity matters for business. CinemaCon 2016 indeed served to establish some important themes. But it is committed individuals and organizations that make the convention possible, and that establish a platform for those themes. I want to thank the professional CinemaCon team of Mitch Neuhauser, Matt Pollock, Matt Shapiro and Cynthia Schuler who work hard all year to produce a great show. Volunteer member leaders offer essential guidance and support to that professional team. CinemaCon Board members Rob Del Moro of Regal and Steve Zuehlke of Cinemark top the list. And of course, NATO’s Chairman, John Loeks of Celebration! Cinema, and our Vice-Chairwoman, Amy Miles of Regal, contribute significant leadership to the show as well. CinemaCon and NATO also deeply appreciate our sponsors throughout the week. The most significant sponsor, and continuously steadfast supporter of CinemaCon and NATO, has been the Coca-Cola Company. Thanks to Stefanie Miller and her team for their tremendous support. Finally, the show is about the delegates. We appreciate so much the 5,000-plus industry professionals who come to Vegas each year. See you again in Vegas for CinemaCon 2017 on 27 – 30 March!